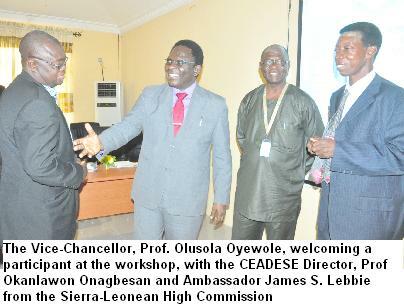 The Vice-Chancellor, Prof. Olusola Oyewole, has charged scientists, academics, farmers and agricultural-related industries to get involved in the World Bank Africa Centre of Excellence in Agricultural Development and Sustainable Environment (CEADESE) project, by making good use of the opportunities derived from the World Bank intervention programme. Prof. Oyewole stated this during the first Stakeholder’s Meeting of the Africa Centre of Excellence, hosted by the CEADESE, Federal University of Agriculture, Abeokuta (FUNAAB). He described the meeting as an opportunity for the stakeholders to brainstorm, plan and work together to achieve capacity building and excellence in research studies that would impact on the West African Sub-region. The Vice-Chancellor said that FUNAAB was one of the 19 African Centres of Excellence, for the attainment of excellence in teaching, learning and research in African Universities, as he noted that the project would partner experts from Universities in advanced countries. 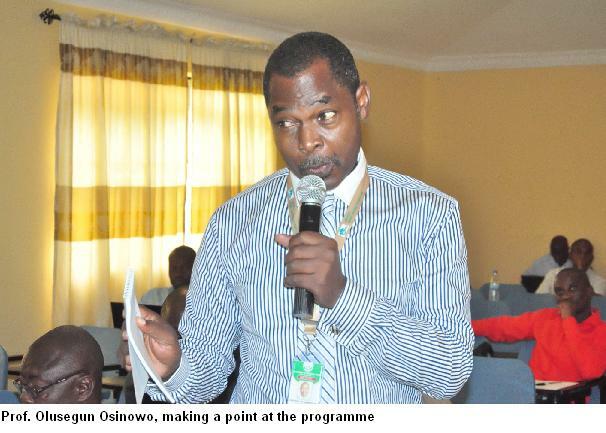 Presenting the CEADESE Research Programme Action Plan, the Director of Academic Planning, Dr.Olukayode Akinyemi, stated that the plan to achieve the centre’s objectives was divided into “capacity building” and “research programmes” components. 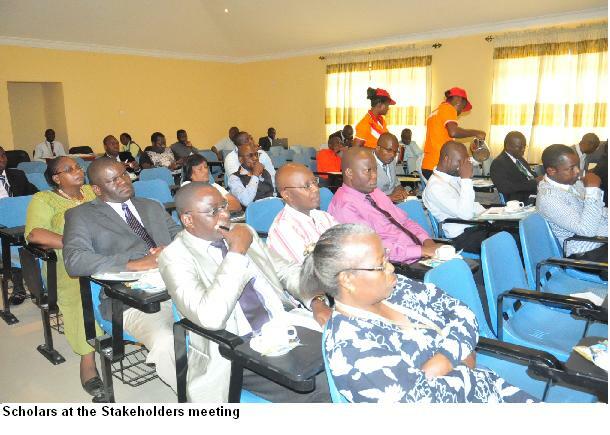 According to him, the capacity building involved introducing new post-graduate curricula in Master’s and Doctorate degrees in Agricultural Development and Sustainable Environment (MAgSE/PhD), in response to specific productivity challenges, short-term skill acquisition for industrial stakeholders, specialized workshops and internships. He said the action for research programmes consisted of partnership with 18 regional and 13 international centres on over 100 post-graduate research projects in six West African countries that would be conducted with up-to-date research facilities. Dr. Akinyemi added that the centre would embark on thematic agricultural research projects of international interests, targeted at mitigating climate and environmental challenges in the West Africa sub-region. Breaking down the expected World Bank grant, he stated that 40 MAgSE and 20 PhD graduates from six West African partnering countries, namely – Nigeria, Togo, Benin, Liberia, Sierra-Leone and The Gambia – would be funded, while 200 staff from industries, line ministries and institutions would benefit from 10 short-term training courses while another 200 would also benefit from three specialized workshops. Earlier, the Director of the Centre, Prof. Okanlawon Onagbesan, had described the project as a “collaborative programme” that would enable the stakeholders to work together and achieve a common goal. Dignitaries present at the event include Ambassador James S. Lebbie from the Sierra-Leonean High Commission, who represented the Country Ambassador to Nigeria, Ambassador (Mrs.) Henry Olufunmi Akande; representatives from the Babcock University; Ladoke Akintola University, Ogbomoso; West African Milk Company (Nig.) Plc; Guinness Nigeria Plc, Food and Industrial Research Institute, Oshodi, Lagos; Livestock Feeds; and the University of Port-Harcourt.